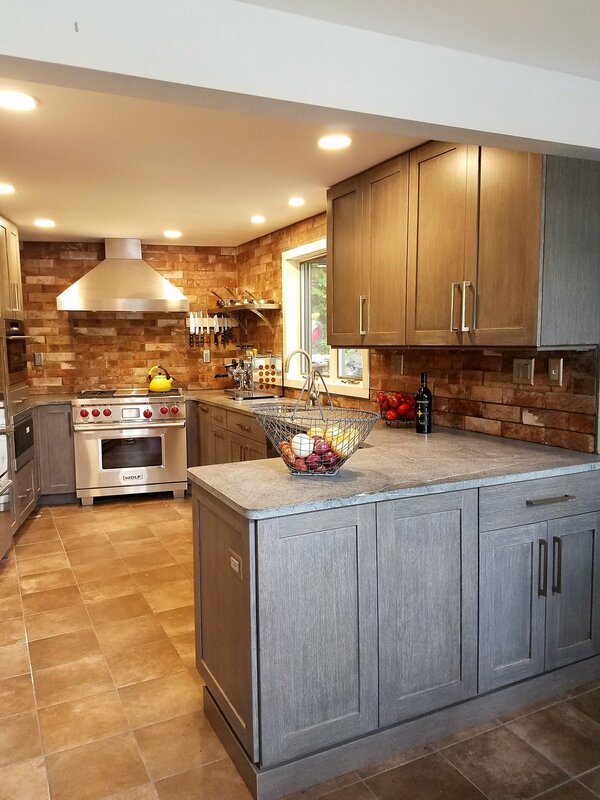 Farmhouse and rustic theme kitchens are popular whether they are purely rustic like our Off-the-grid Adirondack kitchen or combining crisp, modern elements to convey personality and give a nod to the location like our Manhattan Farmhouse kitchen. There are no rules to this style so often we'll see industrial elements, like warehouse style lighting or repurposed steampunk era machinery makes it way into these kitchens. Barn wood cabinetry leads the way in many farmhouse kitchens that use recessed panel or shaker door designs. Open shelving often plays a role in this design set as does barn door style doors and cast iron or oiled bronze hardware.